Number 7 in a set of 8 Australian State Badges to be released in 2018. 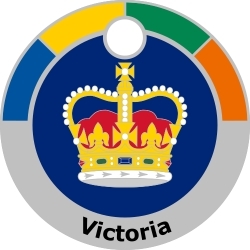 Featuring the state badge of Victoria. 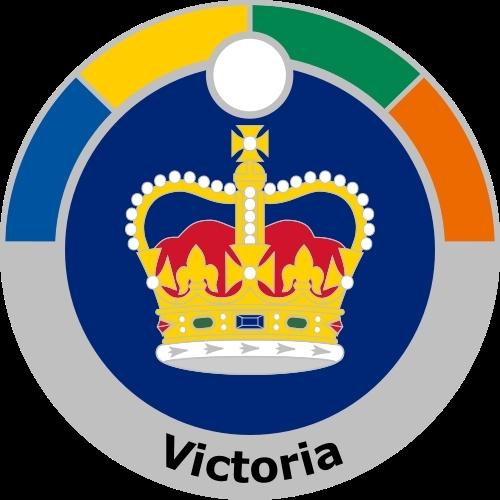 The current Victorian state flag dates from 30 November 1877, though it has undergone two changes in the type of crown - in 1901 from an Imperial Crown to a Tudor Crown and in 1953 to St. Edward's Crown.